Are you considering adoption or fostering? Event next week to encourage and support Christians who are doing this, or considering it. 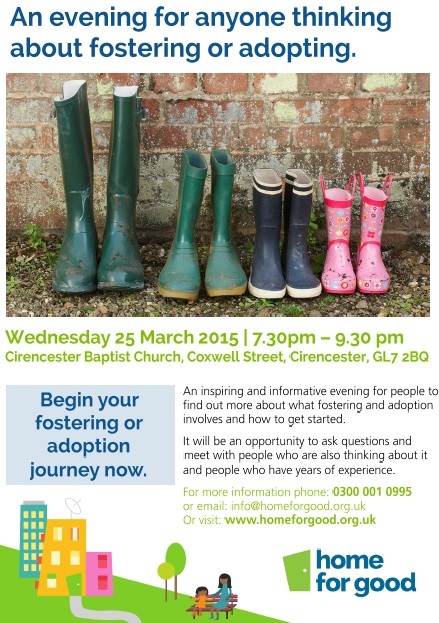 Wednesday 25th March at CBC with team from Home for Good. Please let us know soon if anyone is interested.